THE remains of Blackwater forward Gilbert Bulawan has been moved to the Sanctuarium in Quezon City for an autopsy as officials, coaches and fellow players come to grips with the first known incident of PBA player dying either in team practice or an actual game. 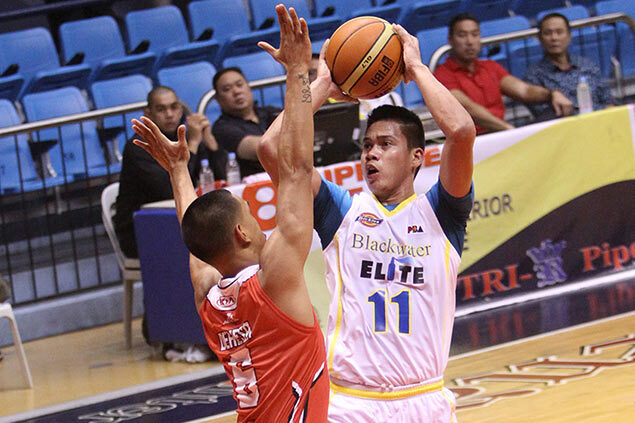 Bulawan, 29, died of what team officials suspect was a heart attack after collapsing in a light practice at the SGS Gym in Quezon City conducted by coach Leo Isaac following the arrival of Eric Dawson, the team's import for the PBA Governors Cup. The 3-5 p.m. practice, more like a getting-to-know-you reception for Dawson, was about to wind down when Bulawan embraced teammate Riel Cervantes in an apparent attempt to break his fall before collapsing on the court. The team's support staff, primarily the physical therapist, tried to revive him before he was rushed to the Capitol Medical Center, where last-ditch efforts to revive the player proved futile, team sources said. According to team insiders, Bulawan, a former San Sebastian Stag picked in the second round of the 2011 PBA draft, has been the most fit player in the team as he strived to make a good impression before his current contract expires at the end of August. "Maganda pinapakita n'ya, kundisyon na kundisyon," said one team official. "Noong naglaro nga kami sa Malaysia, siya pinakamaganda ang laro."